Every year, Saturday night at Newcastle CU Houseparty involves games and costumes and, occasionally, a rave. Since I have worked with the CU the themes have been ‘school days’ and ‘Olympics’, and this year, to my horror, the theme was ‘The 90s’. Since when is that a theme? The most ridiculous costume that appeared was a few of the boys who dressed up as their own pregnant mothers. As you do. 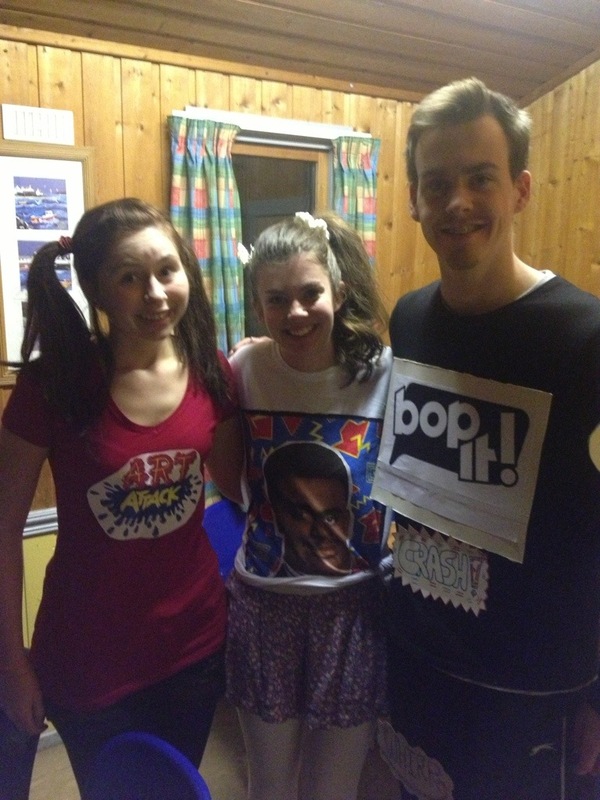 Here’s a snap of three of the third years, Alison, Hannah, and Chris, with their homage to the 90s (Art Attack, Fresh Prince of Bel Air fan, and Bop It). On Sunday at the seaside.